Hair loss can occur due to several reasons, such as chronic ailments, dandruff and scalp infections amongst others. In order to understand the underlying problem that is causing the hair loss, you must consult your dermatologist. Meanwhile, we’ve picked out 11 extremely effective hair loss home remedies that are all-natural and can help you fight away hair loss instantly. Licorice root is packs up multiple nutrients and effective properties that allow it to naturally reverse hair loss and eliminate hair damage. Research reveals that it is extremely effective at treating scalp dryness, irritated scalp and even a scabbed skull. It’s most beneficial quality is its ability to open up clogged pores and fortify the strength of weak hair follicles, which are one of the most common reasons that trigger hair loss. 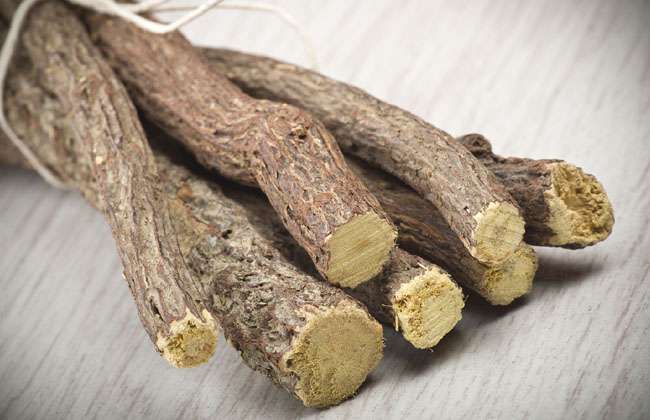 If you want to experience beneficial results without having to wait too long, apply licorice root every week. You can even consume licorice root orally by brewing yourself a hot cup of soothing licorice tea.